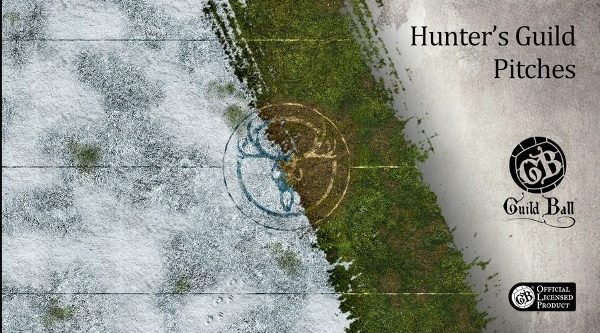 Two new game mats this week – both for Hunters guild to kick their goals in Guild Ball matches. One pitch is a dedication to Mood Goddess while the second is blessed by a Sun Father. Both feature beautiful artwork and both boast top of a line quality. Check out www.deepcutstudio.com to see which you like more.